In order to consistently impress its customers with new services and unusual products, and increase loyalty, B&K Offsetdruck in Ottersweier is continually investing. A bold decision to fit the latest Koenig & Bauer C16 printing press with a new silicone applicator from Contiweb immediately upon purchase is now being rewarded with various tangible benefits. B&K Offsetdruck GmbH does not stand still. 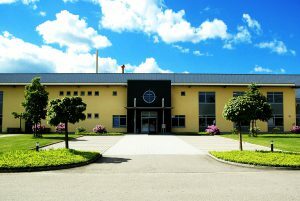 The modern, internationally-successful family company, founded in 1969 and based in Ottersweier, is a high-performing printing plant in the fields of sheet offset, web offset and digital printing. Thanks to continuous innovation and investment, up to 80 million A4 pages can be printed or five million 16-page brochures can be assembled daily by the company that now has over 220 employees. In addition, there are up to 6.5 million-fold-lines and up to 1.5 million saddle stiches performed each day. In addition to other printing presses, B&K now already operates three 16-page jobbing rotary machines, a Compacta C 217 and two C16 printing presses. The most complicated fold lines and UV varnishing are carried out on these machines and up to 700,000 covers are produced every hour. The latest highly automated C16 was equipped with a large number of new features and a conventional silicone solution when it was purchased in 2016. At the same time Contiweb brought cutting-edge silicone technology onto the market. The new CFA technology (Contiweb Fluid Applicator) offers considerable cost benefits for web offset printing plants, even with narrow web printing presses. The system individually controls the oil and water content for the upper and lower side of the paper web. By applying silicone oil and water, not only is the paper web re-moisturised, but the surface of the cooling rollers is prevented from absorbing the printing ink. Silicone is necessary to protect the web from mechanical wear and tear and to guide it more easily through the folding device. The drops of oil in the CFA mixture are extremely large compared with those in the usual silicone emulsions. The oil is therefore not absorbed by the paper, but remains on the surface and provides much greater protection. As a result, the consumption of silicone is reduced by half. As well as the clear financial benefits, Geideck also points to the ecological advantages of the CFA system: “Thanks to the CFA technology, approximately 85% fewer containers are now transported annually, which means less weight on the lorry and therefore lower fuel consumption during transportation. The warehouse is also under less strain and there is more space in the factory because less emulsion is being used. According to our calculations, this investment will pay for itself in two years. This is extremely important for our company. “Altogether this makes a very attractive solution and it has simplified a lot of things for us. Another factor was that the silicone market collapsed at the time of the investment. Since then the price of silicone has been rising continuously. Had we decided against this investment, things would really have become pretty grim for us. According to Contiweb, the use of pure silicone oil in a mixture in line with requirements is extremely advantageous for the performance and long-term condition of the Contiweb fluid applicators and the folding device: the applicator and the control and drive rollers are lubricated better so that there is less contamination and the components have a longer lifespan. “Another advantage of the CFA solution is that the quantity of silicone can be saved related to the order and a maximum quantity can be specified, which the printer cannot exceed without a password”, explains Geideck. “Furthermore, all the procedures can be saved and called up at any time. This means that Contiweb is always in a position to provide assistance and can even proactively identify excessive silicone consumption,” he adds. 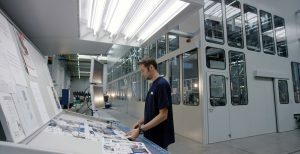 In the meantime, the CFA system has successfully proved itself at many European printing plants. You can find further information about the Contiweb Fluid Applicator here.